A recent article in Science Mag suggests that the use of computers and the internet might actually be changing the way our memory works. A series of psychology experiments recently carried out have shown that sometimes, when people were presented with hard to answer questions, they began to think of computers. If participants believed that it would be easy to find answers on Google later, then they had poorer recall of the actual answer, and yet a greater memory of where the answer was stored. The researchers said that the internet acts as a tool which we now depend upon to to aid our memories, by remembering some data for us. In more simplified English, what this is basically saying is that it is now much easier to access data online, mainly thanks to search engines like Google, Bing and Yahoo. If we have a question, we can find the answer in seconds. 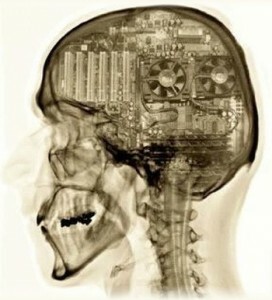 This has lead the the human brain associating the thought of a problem with computers, as it believes that the internet will be the source of the solution. Search engines are now embeded so much in our brain, that when we think of a problem, we no longer bother trying to work out the answer for ourselves, but instead we associate the possibility of finding the solution of the problem with a search engine. Let’s be honest, who hasn’t been bugged by something, asked someone else who also wasn’t able to help and as a result was either told “Google it” or thought “I could Google that”? I have, in fact I would say it happens on a weekly basis! So what do you think? Are computers, the internet and search engines making us stupid, or is it just that we are now adapting as a race to more efficient ways of finding out information? This is just a really quick article to let you know that there has literally just been a Google PageRank update! Despite being less than three months old, Technology Bloggers has manged to achieve a PageRank of 2! This is truly amazing and wonderful news for everyone in the community! Check out your site(s) and see if you have had any changes. If so, let us know! Well I don’t think it has an official meaning just yet, but when I say Googlite I mean someone who is Google everything! Basically the definition of a Googlite is someone who uses loads of Google products, of which there is an alternative (non-Google product) available. If you use Google Web Search, you probably aren’t a Googlite. However, if you also use Google AdSense, Blogger, Google Analytics, Google Docs, Picasa, Google Maps, YouTube and FeedBurner, then I would say you are a Googlite. How do you say Googlite? Is it good to be a Googlite? As someone who considers themselves a Googlite, I see no reason why it shouldn’t be good. The great thing about using loads of Google products (like Google Search, YouTube, Google Analytics and Gmail rather than Bing Search, Vimeo, StatCounter and Hotmail) is that you are able to integrate them all with each other. Being a Googlite means that once you sign into your Google account, you can do stuff on YouTube, Google Talk and FeedBurner without having to sign into them separately. This can be great as you only have to remember one username and password, but, what it you get hacked? If someone is able to hack your Google account, then they have access to all your Analytics data, AdSense account and Picasa images. Google obviously have fail safes like mobile verification and security questions, but if you do get hacked, or forget to sign out, it can be very frustrating. Google are branching out into so many different areas of our life. The Google operating system (Chrome OS), Google Earth, videos on YouTube, the Google browser (Chrome), emails via Gmail etc. All this expansion means that I believe there will be a growing number of Googlites in the future. Why? It’s simple, easy and most of the services are free! Are you a Googlite? Do you want to be? If you are, are you glad? Why/why not? On April 11, 2011 Google announced on it’s Webmaster Central Blog sweeping changes to it’s search index. 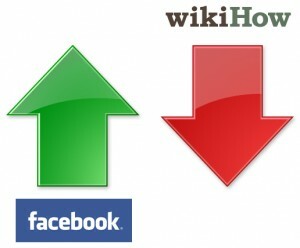 In an effort to promote high quality websites and eliminate websites that have poor content the algorithm was adjusted. This adjustment incorporated “feedback signals” which are expected to help Google users find better search results. What was described by Amit Singhal, Google fellow, as a “small” update, affected only 2% of US queries has turned out to radical. CNET describes the Google’s algorithm as “radical” and reports the websites that have been affected by reduced rankings. The British Medical Journal, the Cult of Mac, and WikiHow all dropped in visibility. Considered to be reputable sources, and not content farm, these reduction in rank show the algorithm still needs some fine tuning. Other websites that might be considered content farms have been dropped as well. Websites to increase in ranking are Facebook, Twitter and Yelp. These websites moving up begs a question though. Facebook already has over 500 million active users, of which, 50% log in each day. Does this website really not already appear “high” enough in the search engine. In addition, social media is changing Google search results with the adoption of the “Plus One” on Google and “Likes” on Bing. Despite the rise of social media websites and some news sources, many poor websites have fallen in ranking, as was expected from this Panda Algorithm shift. Local searches have significantly improved, however, due to this shift in the algorithm. Websites of companies that are popular in the United States (David’s Bridal, Barnes and Nobles, Walgreens) all appear prominently in the US search index, but not in the UK index. This shift paves the way for a greater index in international search engine results. Improving international search results is a significant win for Google’s index.